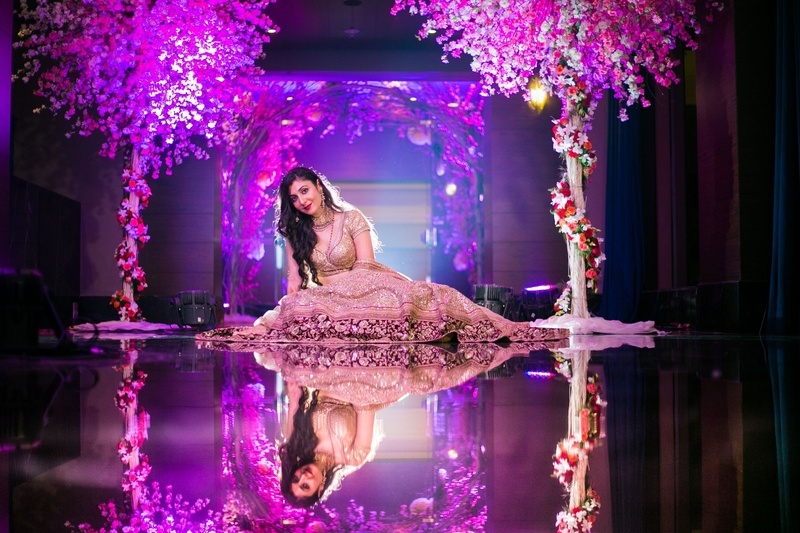 This wedding was what we call a grand wedding and had all the elements that bridal dreams are made of. 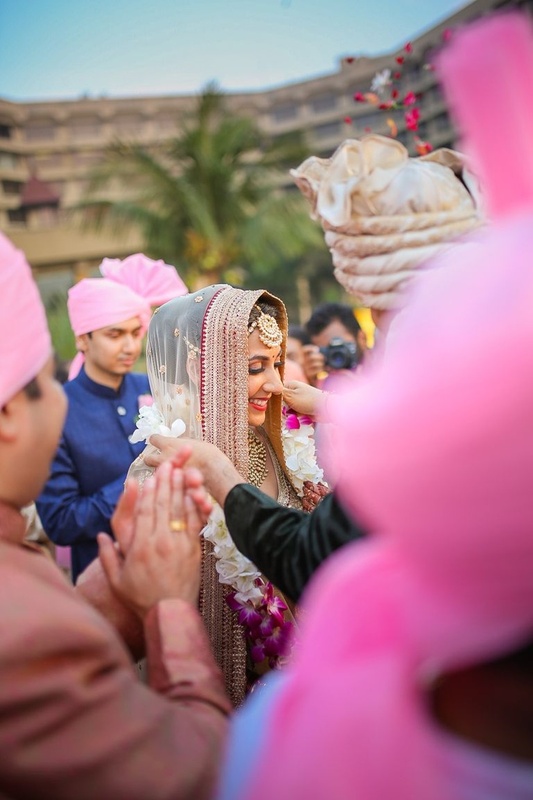 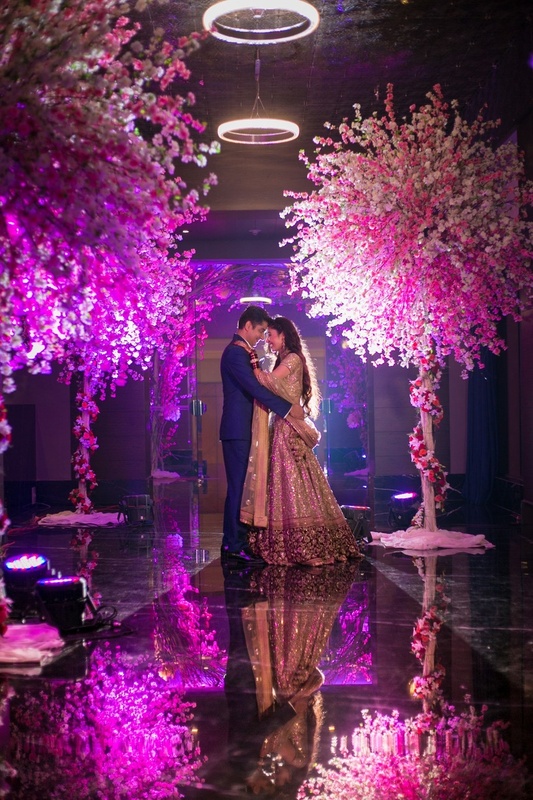 We fell in love with everything about their celebrations, from the unique arrangement of flower decoration to the vibrant mandap. 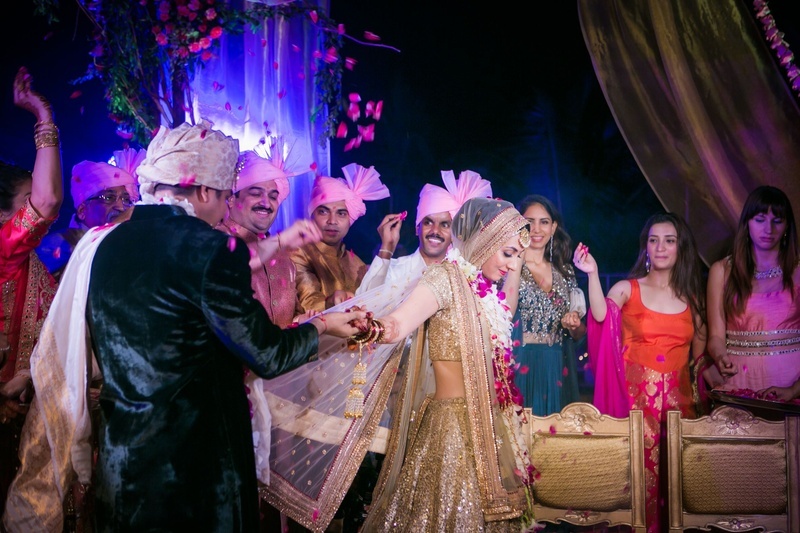 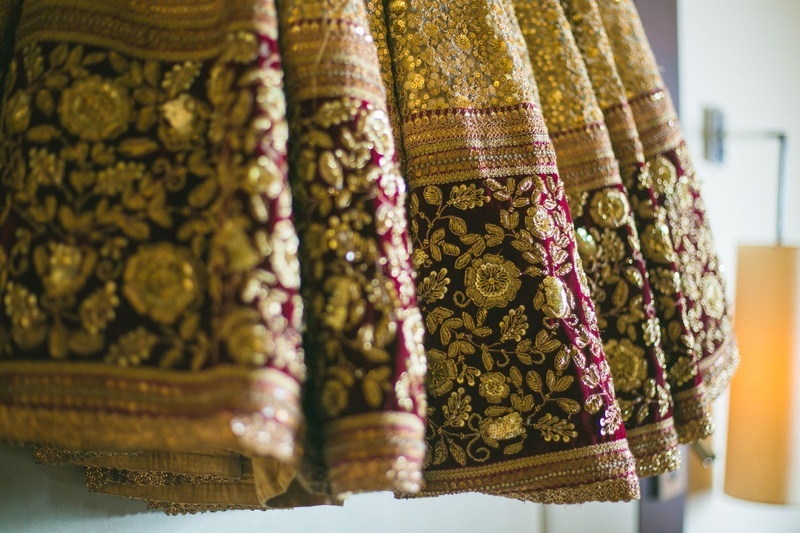 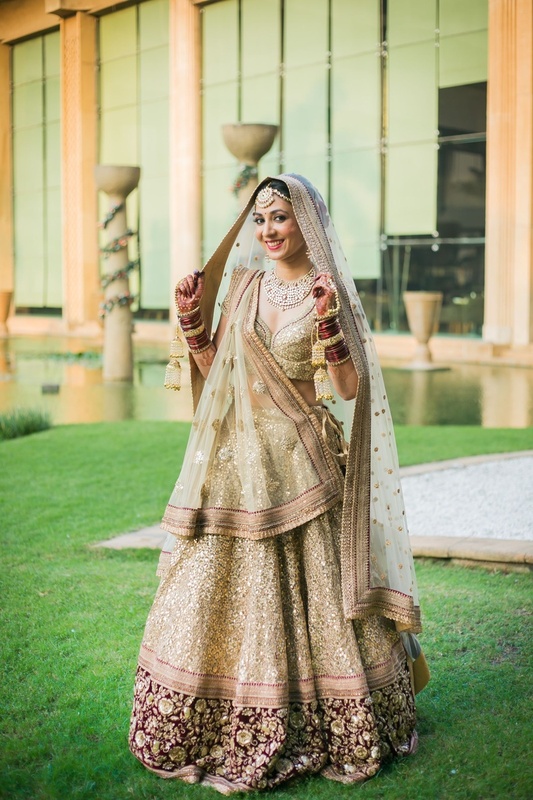 Dazzling in gold, the bride's lehenga was something that every bride might have seen in her dreams. 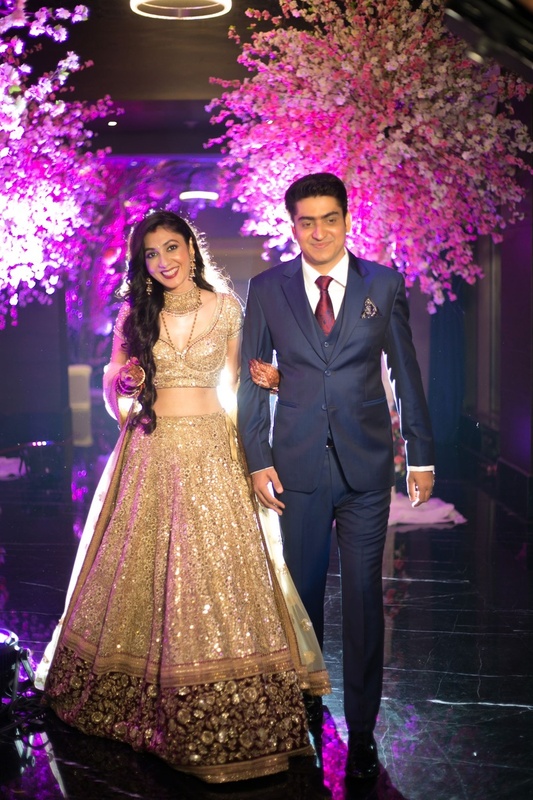 Adding to the glamour was the groom's attire, in suede, that perfectly complemented the glowing bride. 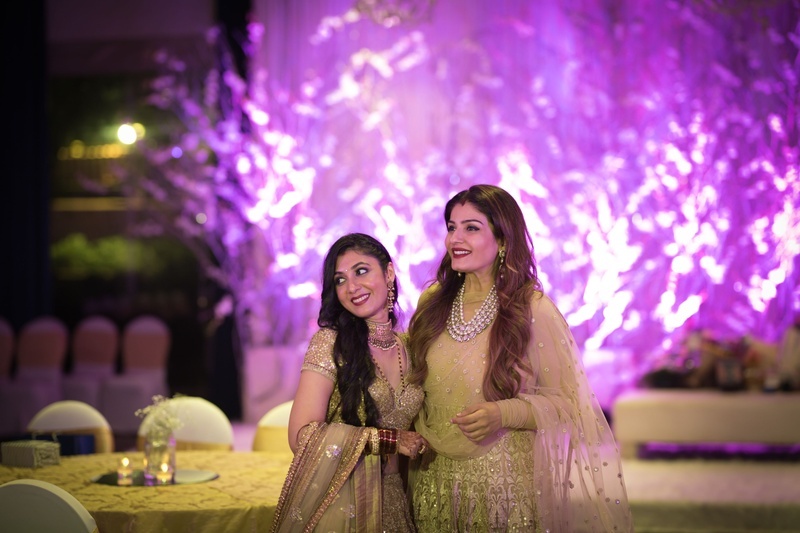 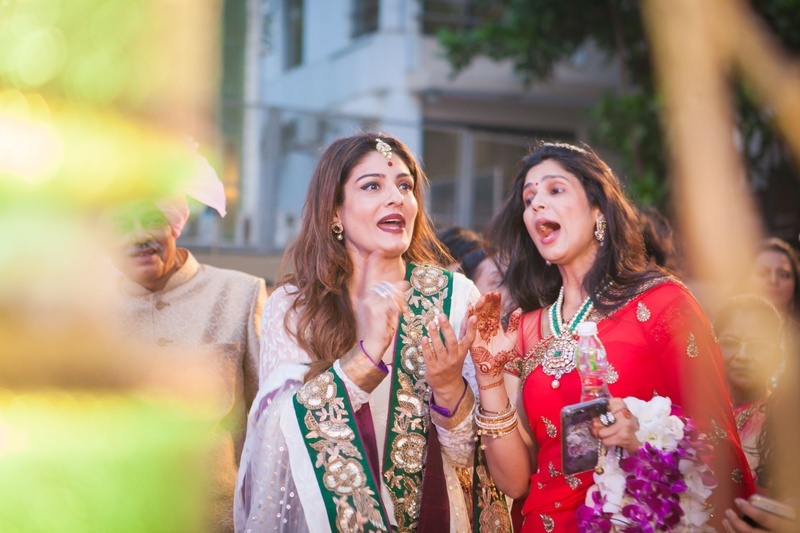 The couple was blessed with the presence of Raveena Tandon, once a ruling queen of Bollywood who looked ravishing as usual. 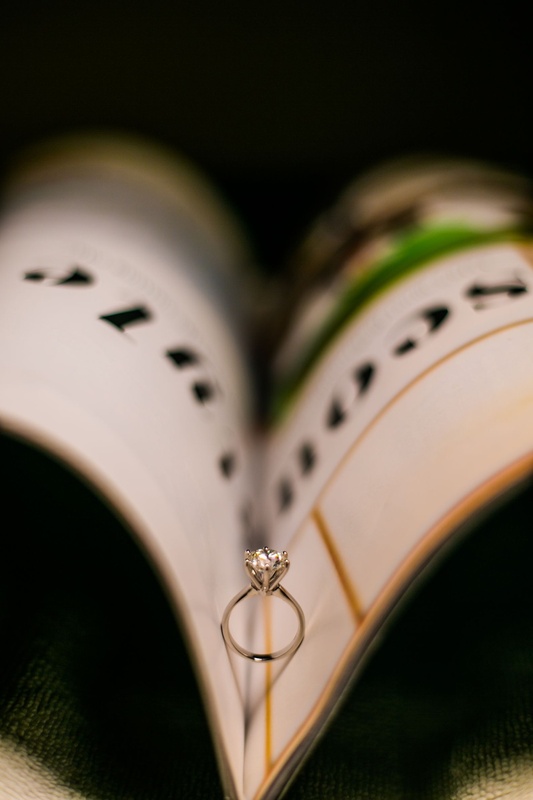 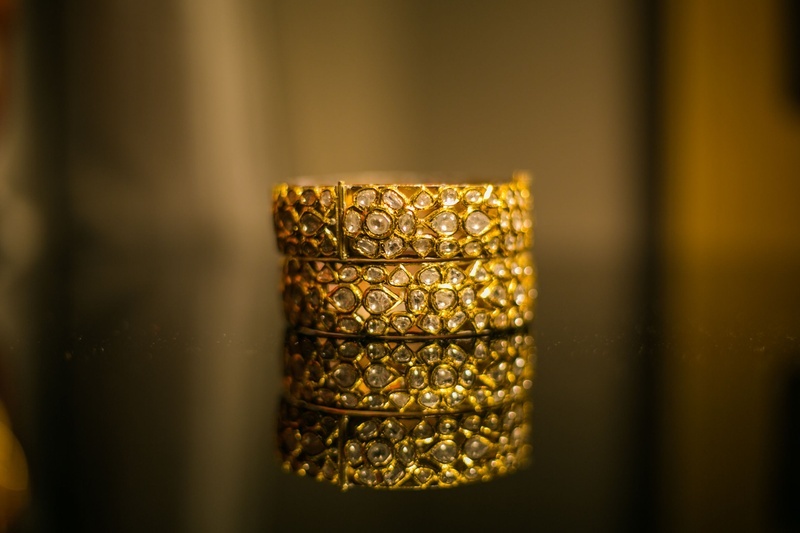 Engagement ring photography by Fotografia9. 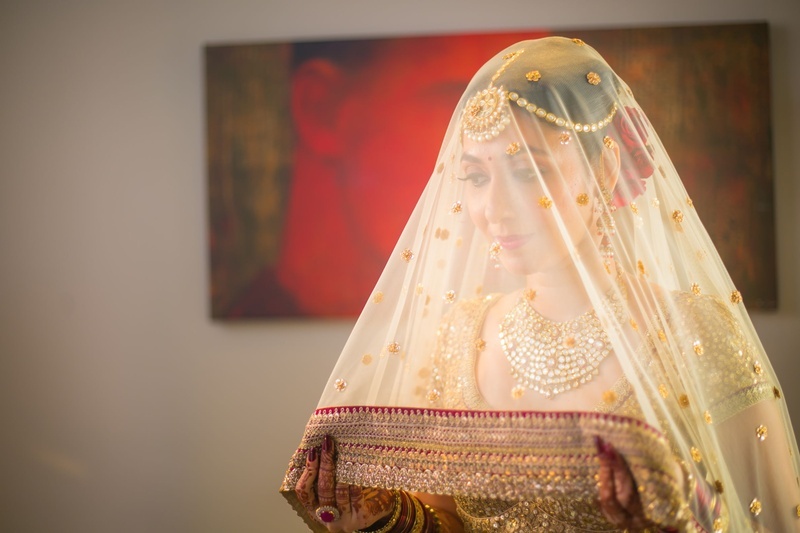 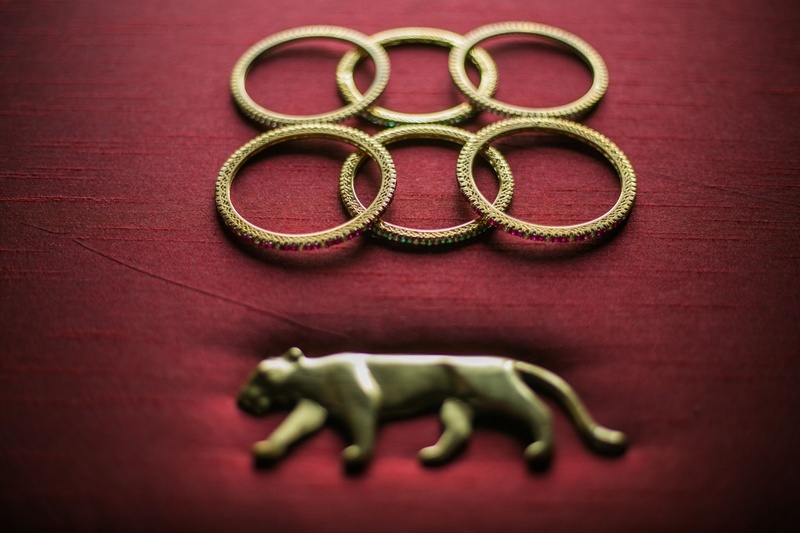 Bridal jewellery photography by Fotografia9. 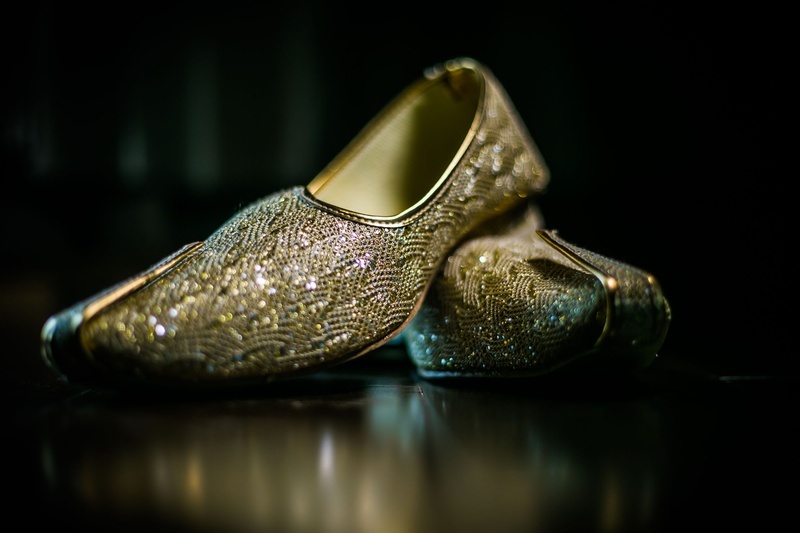 Gold and silver wedding juttis for the groom. 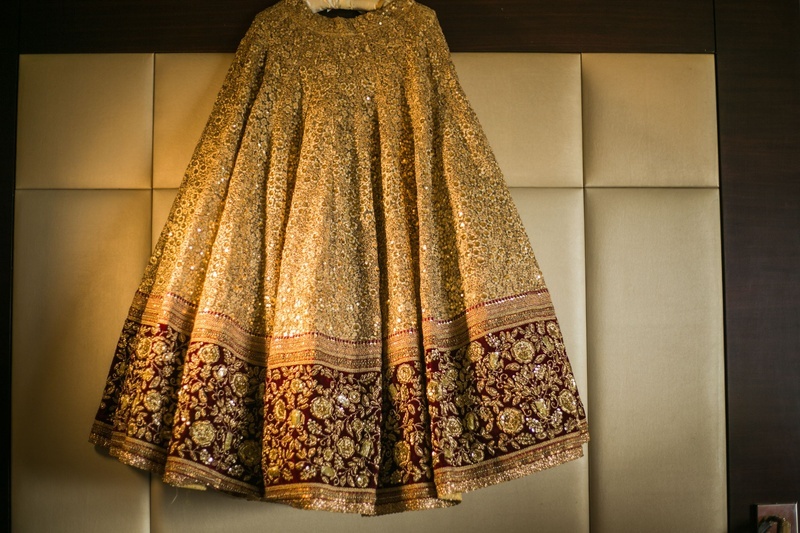 Heavy glittering gold embroidered lehenga by Sabyasachi for the wedding held at JW Marriot, Mumbai. 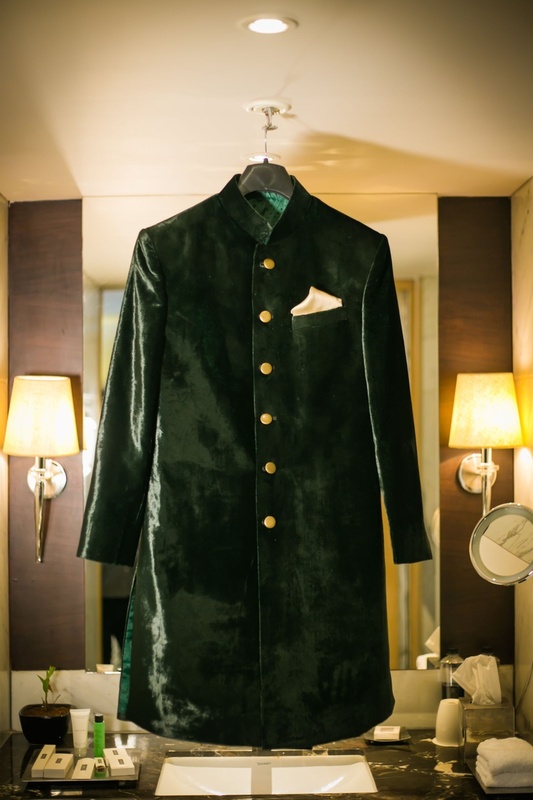 Suede olive green bandhgala for the groom! 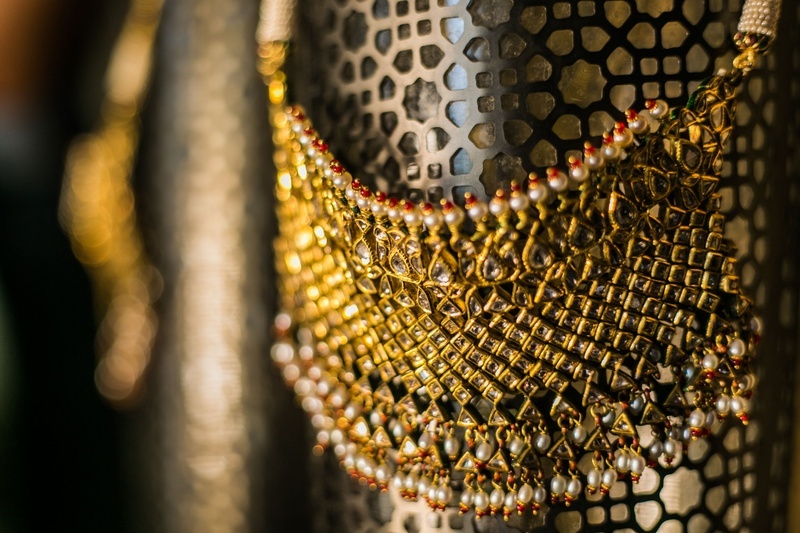 Heavy polki neckpiece for the bride. 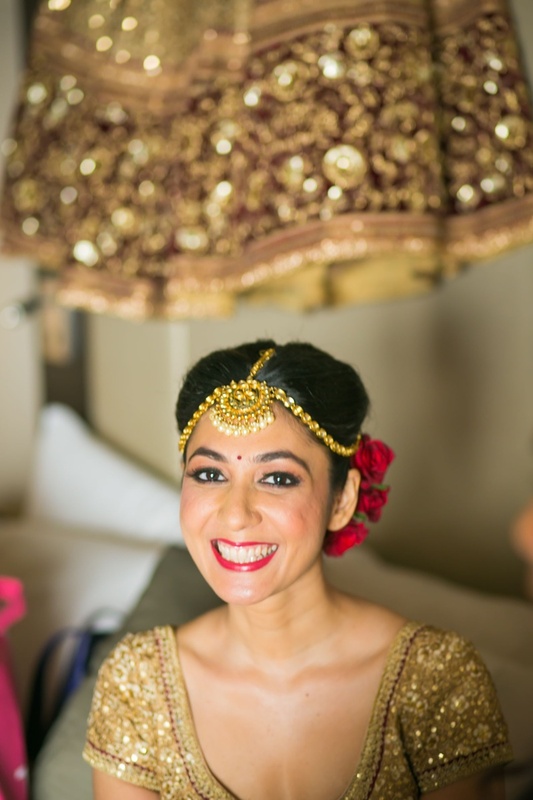 Bridal beauty on point ! 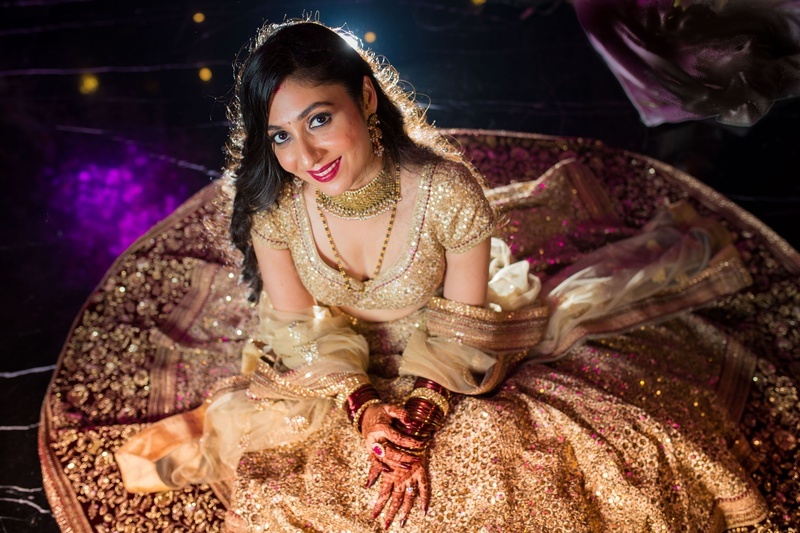 Dressed up in a gold glittering Sabyasachi lehenga for the wedding day. 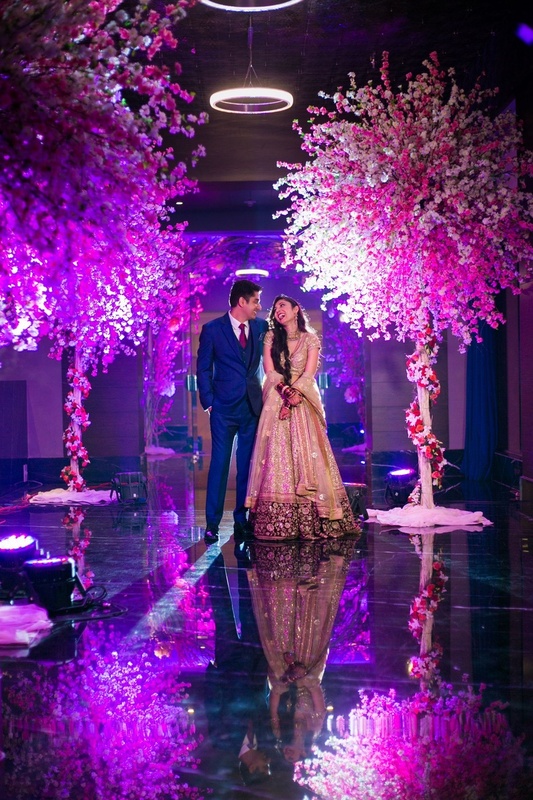 Complementing each other with color coordinated wedding outfits! 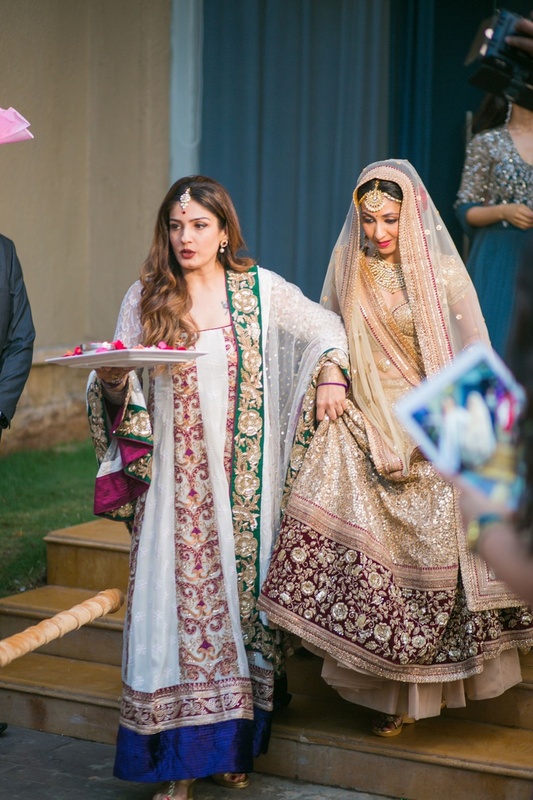 Raveena Tondon walking Swati to the wedding venue. 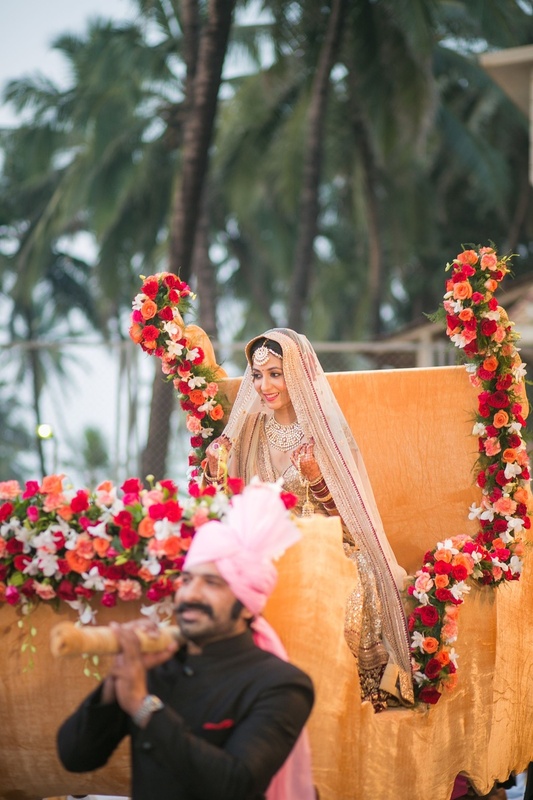 Bridal entry in a florally decorated carriage! 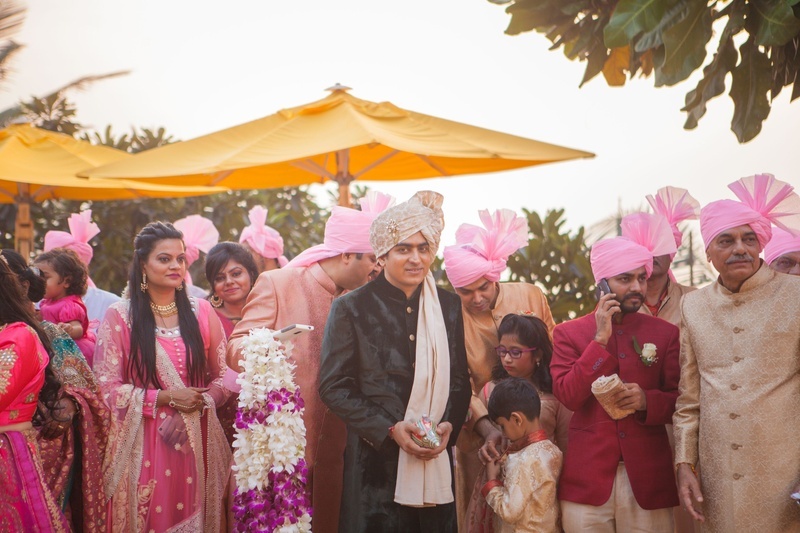 Varmala ceremony held at JW Marriot! 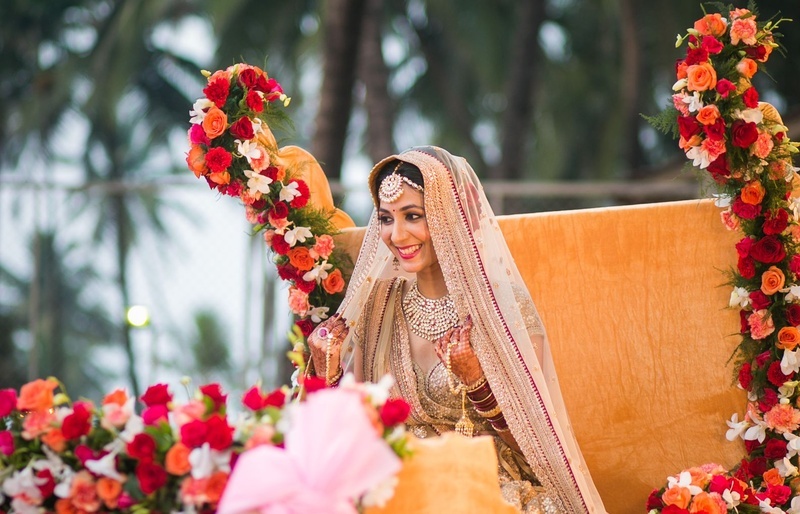 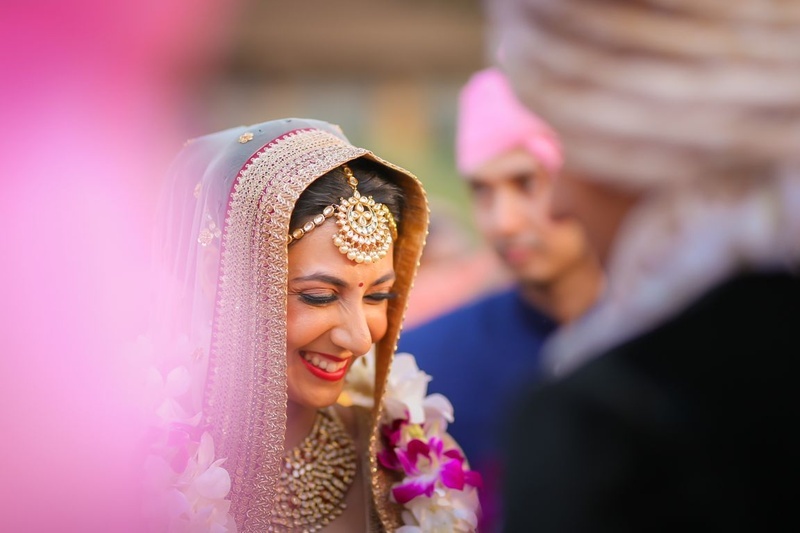 Smiling brides are the prettiest! 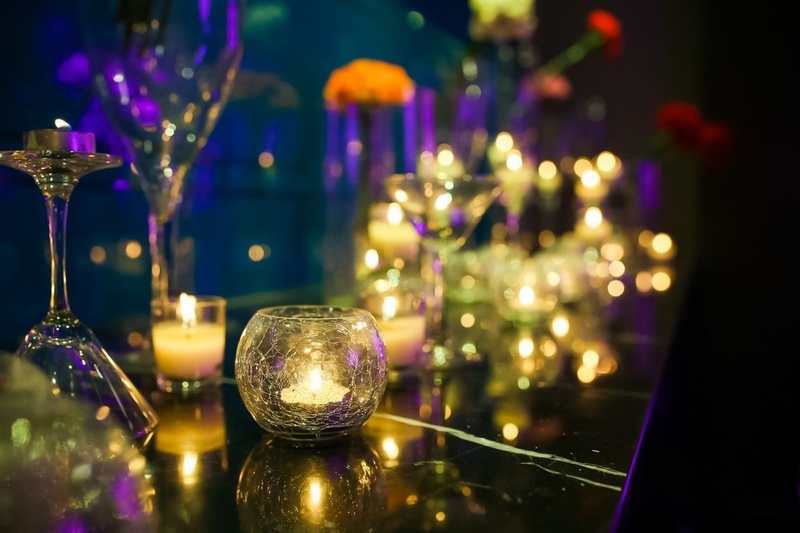 Ambiance for the wedding reception! 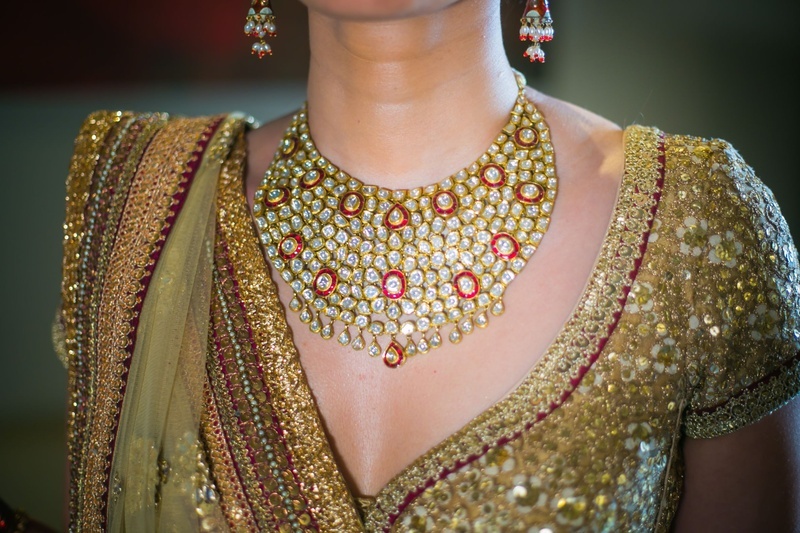 Heavy kundan choker for the wedding reception held at JW Marriot, Mumbai. 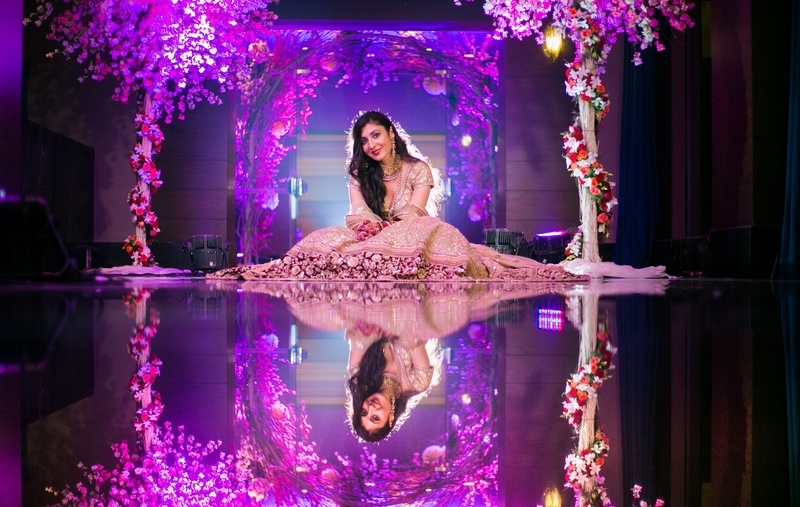 Floral arrangement for the wedding reception ! 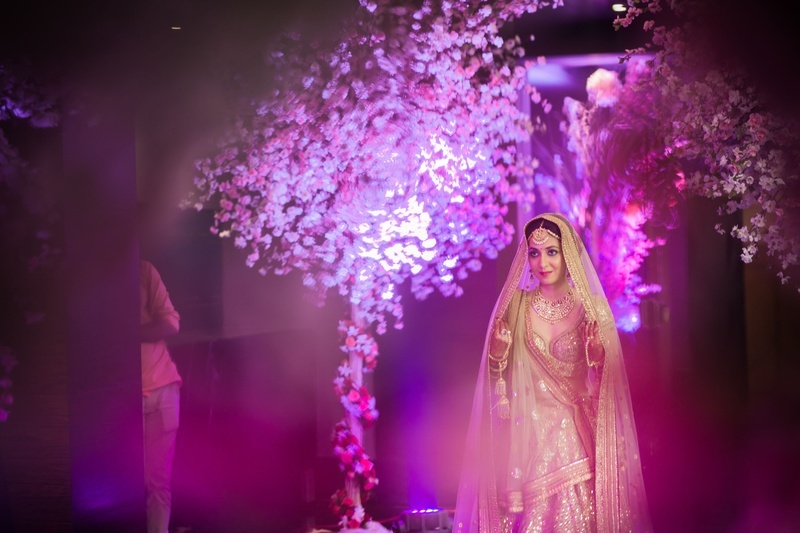 Bride and groom photoshoot by Fotografia9. 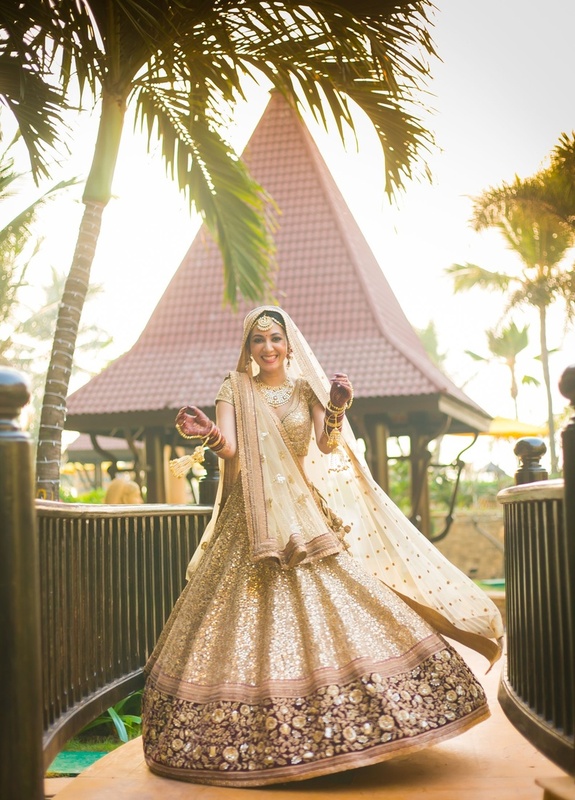 Aarti's simple yet elegant look for the wedding reception. 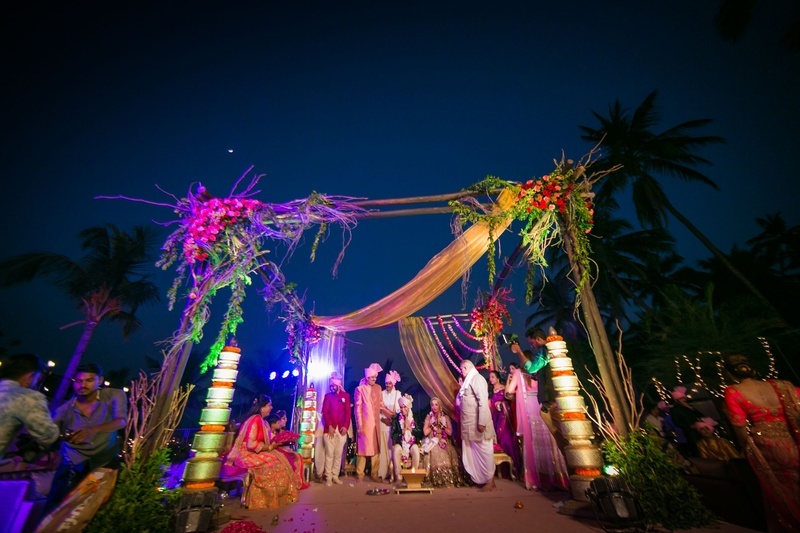 Mandap setup at JW Marriot, Mumbai. 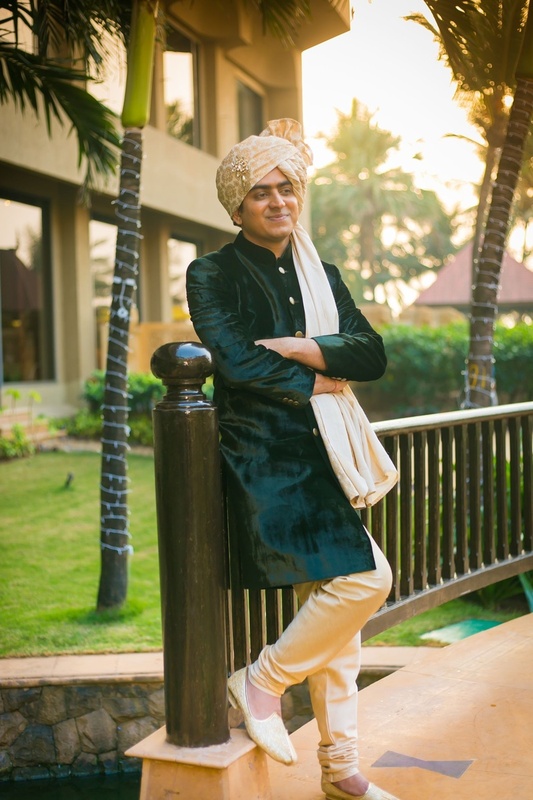 Wedding pheras held at JW Marriot, Mumbai. 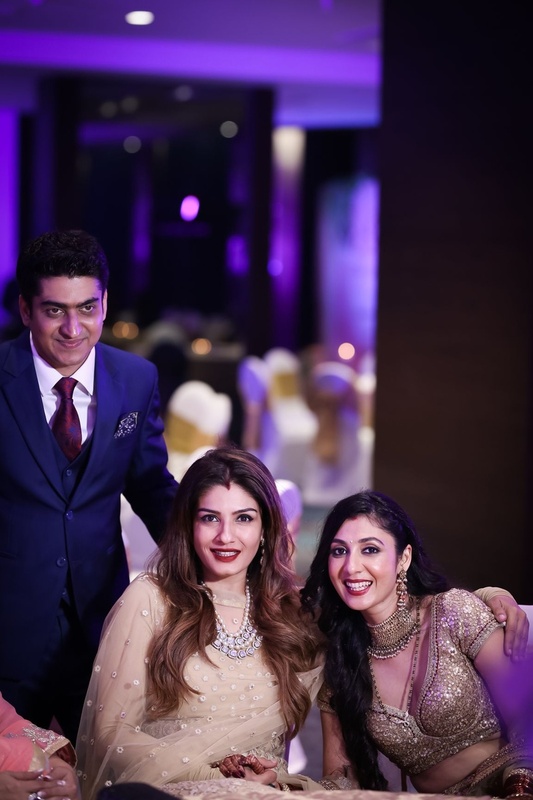 With the ravishing Raveena Tandon.